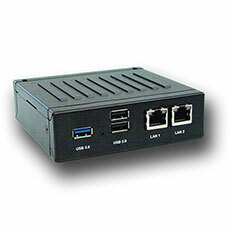 The eNUC-Box is a complete solution of mainboard plus housing. You can choose betweeen several housings as well as between active or passive cooling. Furthermore the box allows for extensions and modifications and can run either x86 or ARM.